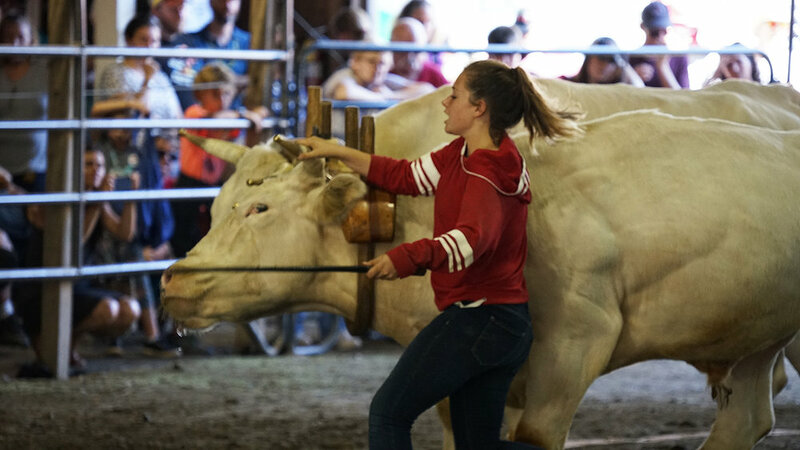 An unlikely spot for teen meltdown: A county fair oxen pull. She was mayber 16 with a slender build, the young girl led her oxen team out into the ring, her father behind holding hitching rope. She was struggling -- first from nervousness, then from embarrassment -- to get the team to mind. She swatted, yelled, pushed; the oxen grew more annoyed. Two unsuccessful pulls on the sled, loaded with about 1500 pounds. The oxen, the girl, grew more frenetic. Suddenly, she yelled: "I KNOW, DAD." The 3rd time, they pulled the distance. It was still a light load. Outside the ring, the father said softly: "You have to get them to want to pull." At the next round, she withdrew.